Safeway’s support for PCF has had tremendous impact for prostate cancer patients worldwide. The Safeway Foundation has helped six new FDA-approved medicines reach patients since 2010. Most recently, Safeway funding fast-forwarded by years the research and development of the breakthrough therapy Xofigo, which is used to put metastatic bone tumors into remission. Bone metastases are one of the most debilitating complications found in 95 percent of men with advanced prostate cancer. Among patients with advanced prostate cancer, Xofigo reduces the risk of death by 30 percent. In less than 12 months since its launch, Xofigo has allowed over 60,000 US men to live pain-free after exhausting all other treatment options. 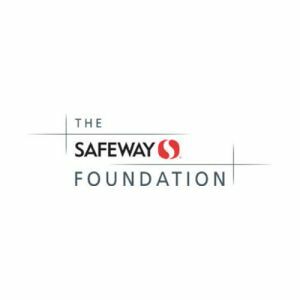 For more than a decade, Safeway’s family of stores has been a strong supporter of the Prostate Cancer Foundation, earning the company the rare distinction of being PCF’s all-time biggest institutional sponsor. Since the program was introduced in 2002, Safeway has raised $83 million for prostate cancer research. This support has improved the standard of care (how each patient is treated) for nearly 3 million men living with prostate cancer in the U.S. and Canada.